It has been forever since we have had a Menu Plan Monday, and we are really missing out on the planned meals over here. 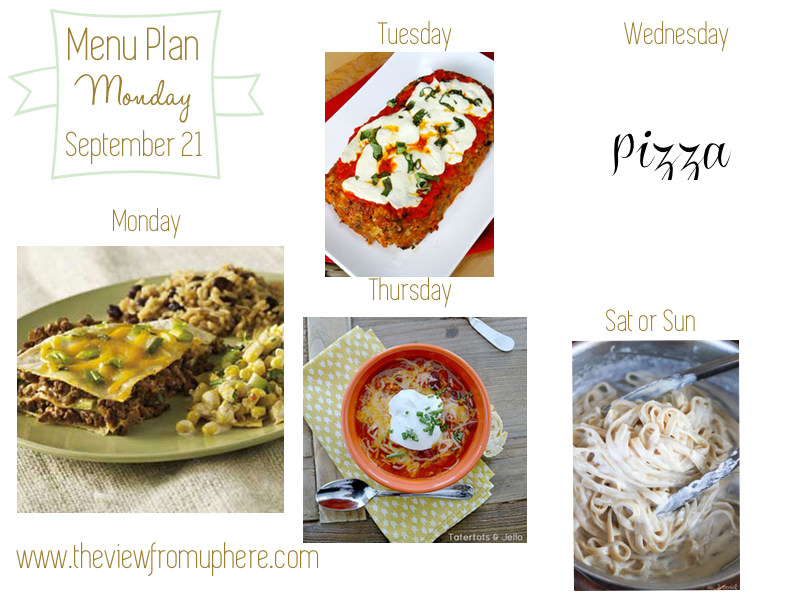 With some help from a couple friends that have helped me plan this week...I have put together a yummy plan for our week. I hope you enjoy all the great dishes this week! The chicken parmesan meatloaf looks delicious! I love doing chili during the weekdays because we always have so much leftover too. Hope the pumpkin version is yummy!